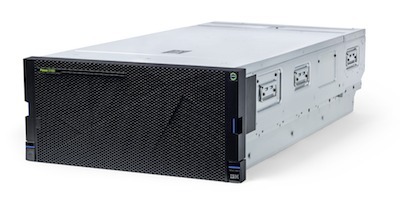 IBM's new Power System E980 and E950 servers top off the POWER9 family with scalability of up to 64 TB of memory, up to 192 POWER9 technology based processor cores, and PCIe Gen4 I/O expandability. They are designed for industry leading reliability, scalability, serviceability, and manageability. The IBM POWER9™ processor, which is available at frequencies of 3.55 to 4.0 GHz. Integrated I/O subsystem and hot-pluggable Peripheral Component Interconnect® Express (PCIe) Gen4 slots, double the bandwidth of Gen3 I/O slots. Supports EXP12SX, ESP24SX external disk drawers, which has 12Gb SAS interfaces and double the existing EXP24S drawer bandwidth. Supports up to 16 TB memory, which is 4 times more than the POWER8® E850. 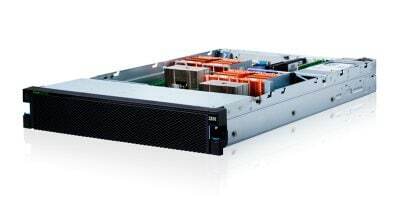 IBM Power System AC922 server (8335-GTH and 8335-GTX models) is the next generation of the IBM POWER® processor-based systems, which are designed for deep learning (DL) and artificial intelligence (AI), high-performance analytics, and high-performance computing (HPC). Powerful IBM POWER9™ processors that offer up to 22 cores at up to 2.80 GHz (3.10 GHz turbo) performance with up to 2 TB of memory. IBM Coherent Accelerator Processor Interface (CAPI) 2.0, IBM OpenCAPI™, and second-generation NVIDIA NVLink 2.0 technology for exceptional processor to accelerator intercommunication. Up to six dedicated NVIDIA Tesla V100 graphics processing units (GPUs). 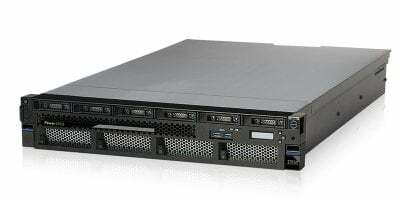 The IBM Power System S922 (9009-22A), IBM Power System S914 (9009-41A), and IBM Power System S924 (9009-42A) servers support IBM AIX®, IBM i, and Linux operating systems. The objective of this paper is to introduce the major innovative Power S914, Power S922, and Power 924 offerings and their relevant functions. The new IBM POWER9™ processor, which is available at frequencies of 2.3 - 3.8 GHz, 2.8 - 3.8 GHz, 2.9 - 3.8 GHz, 3.4 - 3.9 GHz, 3.5 - 3.9 GHz, and 3.8 - 4.0 GHz. Two integrated memory controllers that double the memory footprint of IBM POWER8® servers. Integrated I/O subsystem and hot-pluggable Peripheral Component Interconnect Express (PCIe) Gen4 and Gen3 I/O slots. I/O drawer expansion options offer greater flexibility. Support for Coherent Accelerator Processor Interface (CAPI) 2.0. The new IBM POWER9™ processor, available at frequencies of 2.7 - 3.8 GHz, 2.9 - 3.8 GHz, and 3.4 - 3.9 GHz. Two integrated memory controllers that double the memory footprint of IBM POWER8® processor-based servers. An integrated I/O subsystem and hot-pluggable Peripheral Component Interconnect Express (PCIe) Gen4 and Gen3 I/O slots. New feature IBM EnergyScale™ technology provides new variable processor frequency modes that provide a significant performance boost beyond the static nominal frequency. The new IBM POWER9™ processor, which is available at frequencies of 2.8 - 3.8 GHz, 2.9 - 3.8 GHz, 2.8 - 3.8 GHz, 3.4 - 3.9 GHz, 3.5 - 3.9 GHz, and 3.8 - 4.0 GHz. IBM EnergyScale™ technology provides new variable processor frequency modes that provide a significant performance boost beyond the static nominal frequency.